Brand New 1+ Den Condo @ Popular N.X.T.! Bright And Sunny With Floor To Ceiling Windows And 9 Ft. Ceilings. Never Been Lived In. Modern Kitchen, Granite Countertops, Open Concept With Large Balcony. Dark Hardwood Floor. Stainless Steel Appliances. 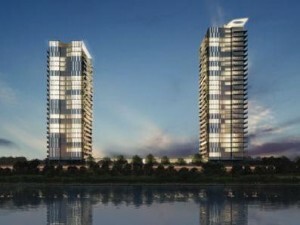 Large Balcony With Unobstructed View Of CN Tower,City And Lake. @ Your Doorstep. Close To High Park And Bloor West Village. Minutes To Downtown. 1 bedroom + den, 1 bathroom, with 1 parking space.